8511A is widely used for high pressure applications such as studies of structural loading by shock waves resulting from explosive blasts, pulsations in hydraulic and combustion systems. For harsh environments where there is particle impingement, an optional version is available with a protective screen and a black silicone grease coating which further reduces photoflash sensitivity and provides an effective thermal barrier for short duration high temperature service. 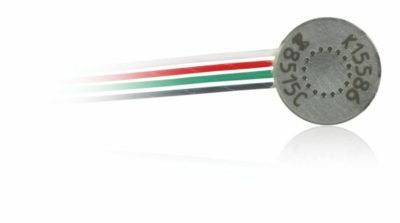 Model 8511A is a rugged, piezoresistive pressure transducer for high pressures. It has a 3/8-inch mounting thread and is available in ranges from 5000 to 20 000 psig. Endevco pressure transducers feature an active four-arm strain gage bridge diffused into a sculptured silicon diaphragm for maximum sensitivity and wideband frequency response. Self-contained hybrid temperature compensation provides stable performance over the wide temperature range of 0°F to 200°F (-18°C to +93°C). Endevco transducers also feature excellent linearity, high shock resistance, and high stability during temperature transients.